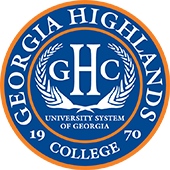 This week Georgia Highlands College will hold a First-Generation Student Celebration for all students, faculty and staff who are or were first-generation college students in their family. GHC’s New Student and Retention Programs is partnering with Student Life to have a table with buttons for all first-generation students, faculty and staff, as well as a graffiti wall for students to voice why it is important to be the first in the family to go to college. New Student and Retention Programs Manager Crystal Edenfield said it is important to champion student success, especially for those taking on the challenge of college as the first in their family. Edenfield is particularly invested in helping first-generation students, since she was the first person in her family to go to college, as well. First-generation student Emily Cook said events like these are one of the many reasons she enjoys attending GHC. Cook started at GHC in 2014. She is working on her business degree. She said it’s a special thing to be the first person in your family to go to college. GHC’s First-Generation Student Celebration will take place at all of its locations throughout the week. PICTURE: Special “I was the First” buttons being handed out to first-generation students, faculty, and staff during the First-Generation Student Celebration this week.